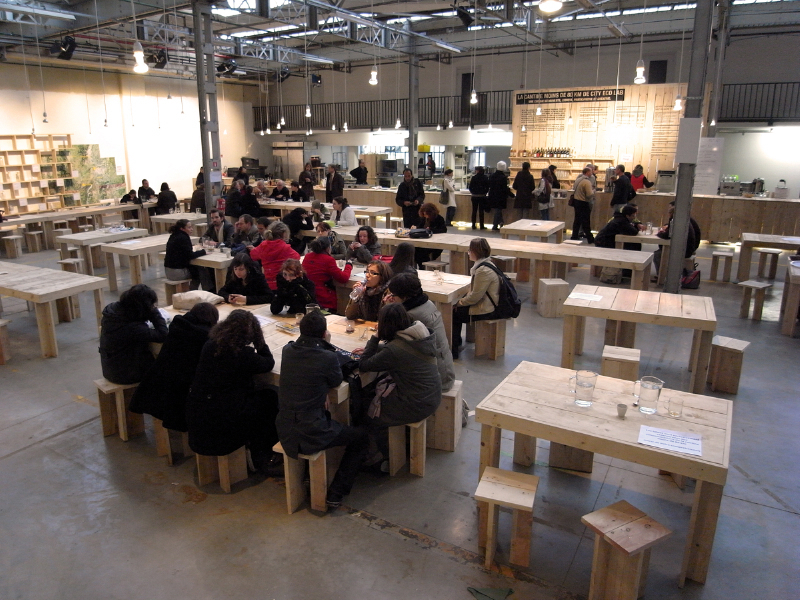 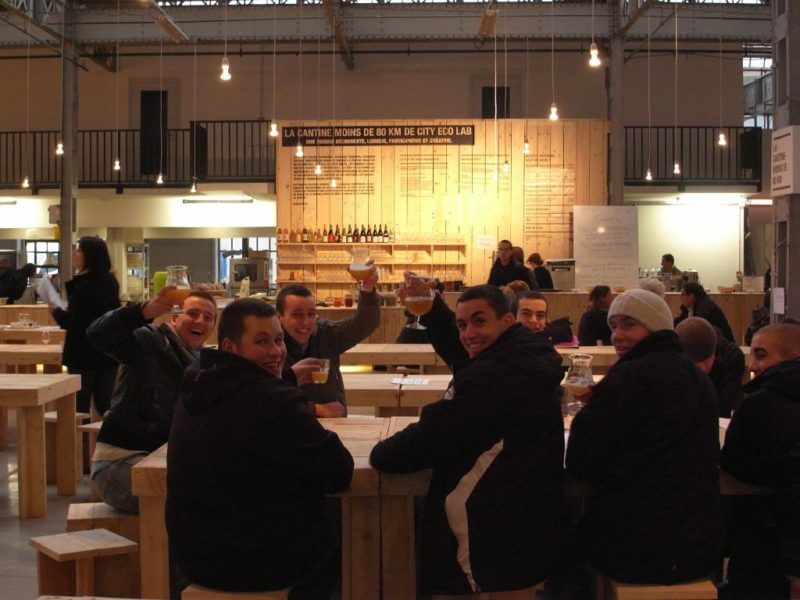 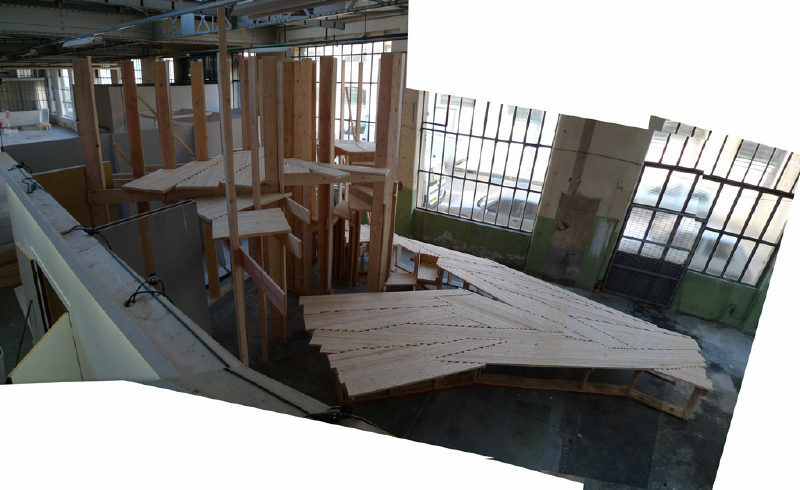 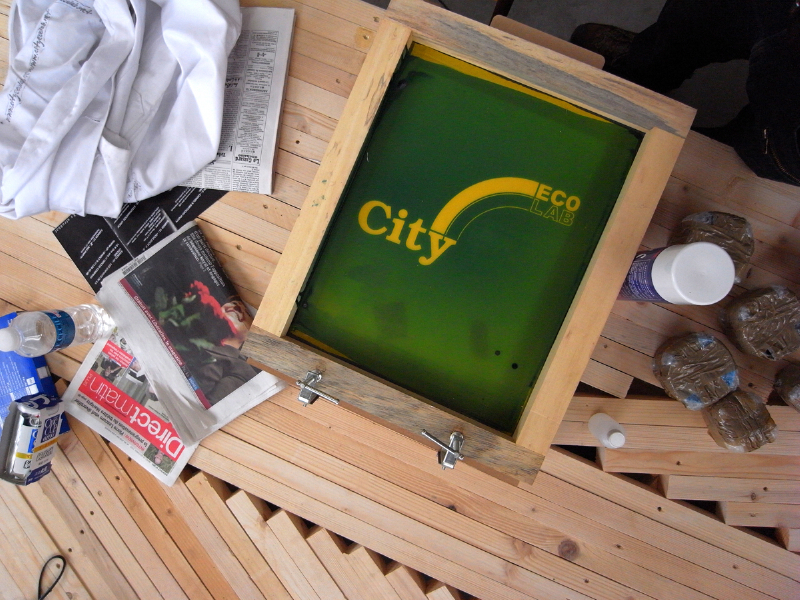 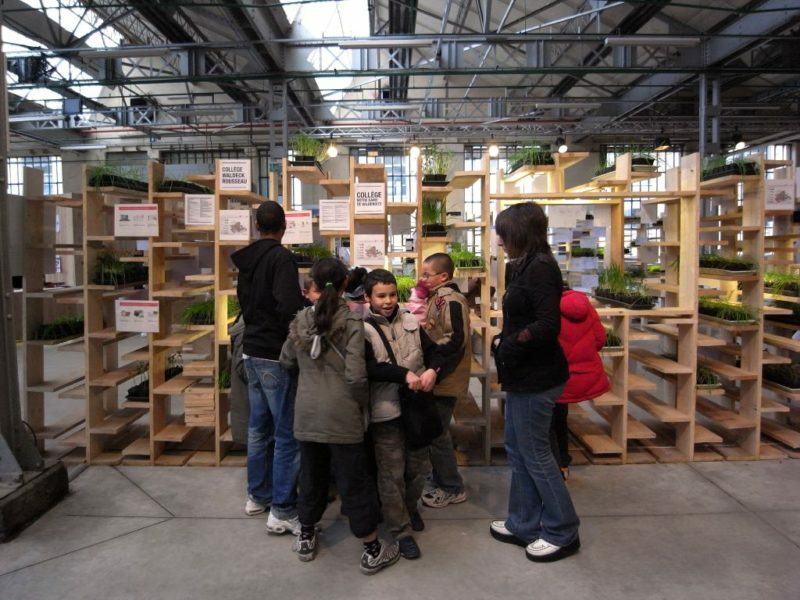 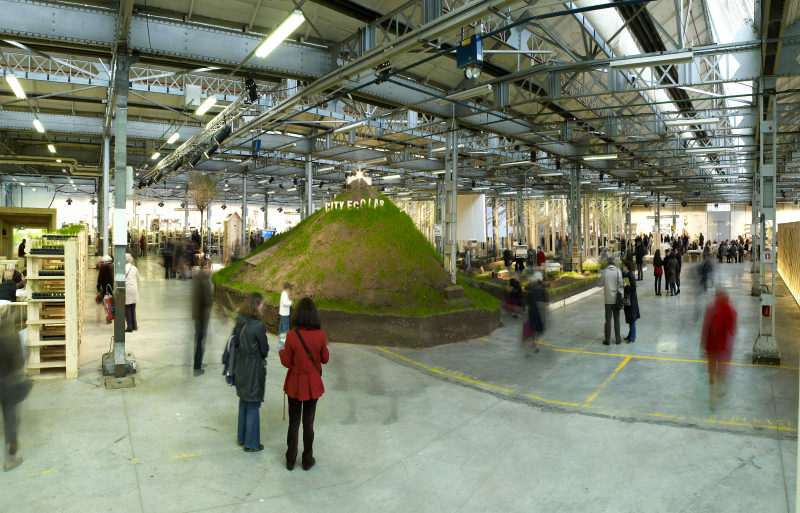 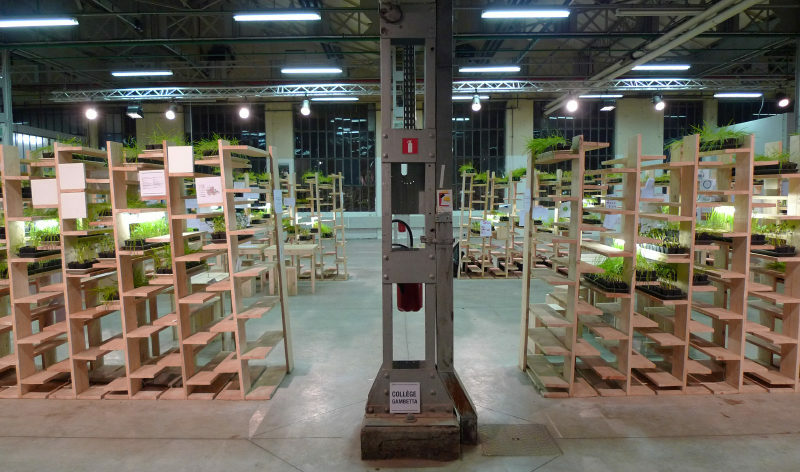 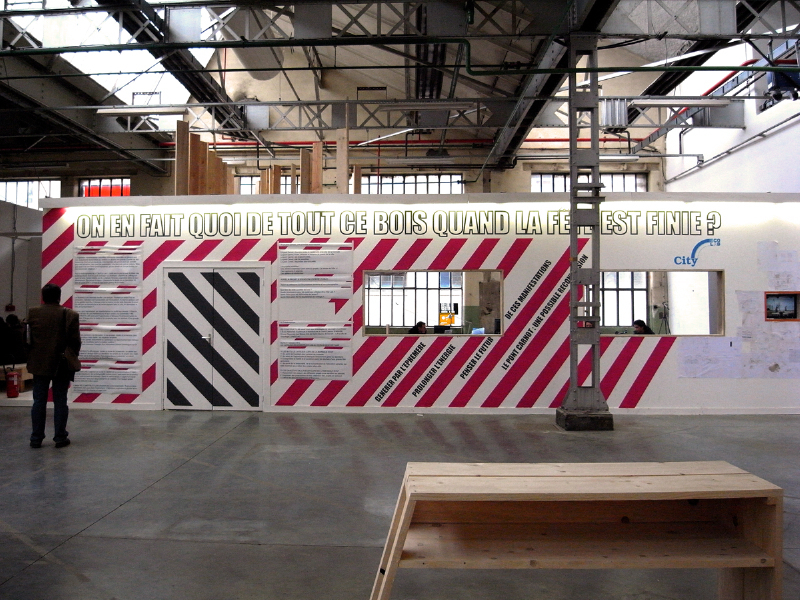 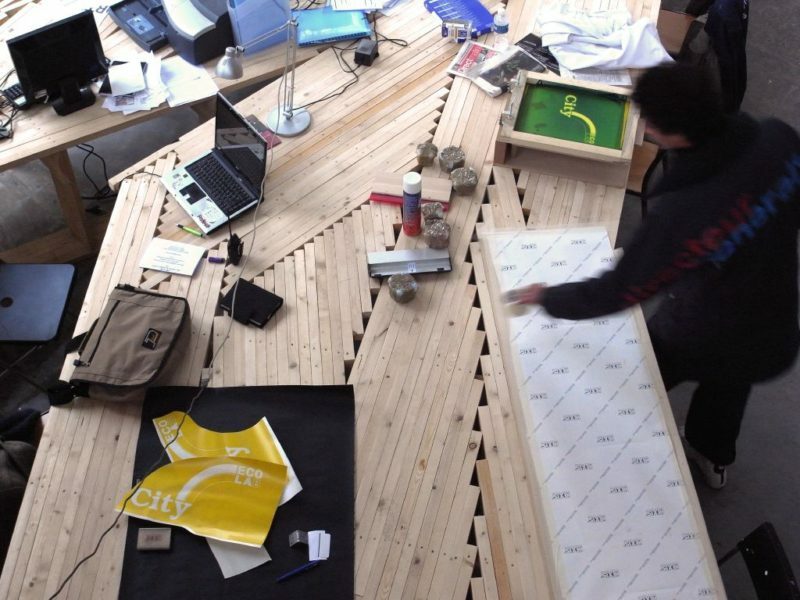 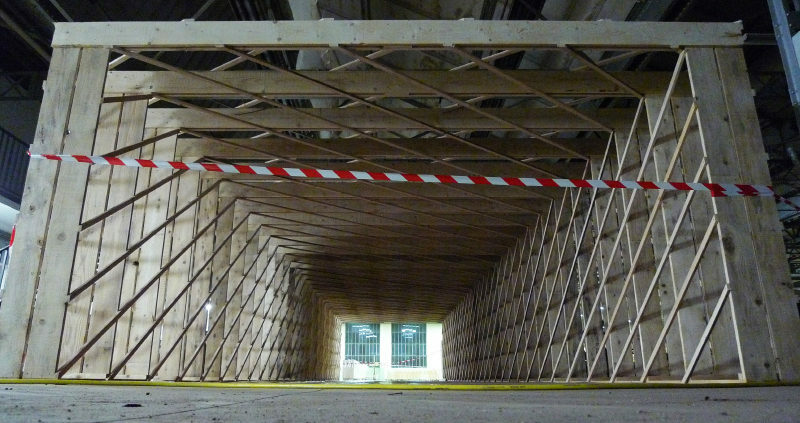 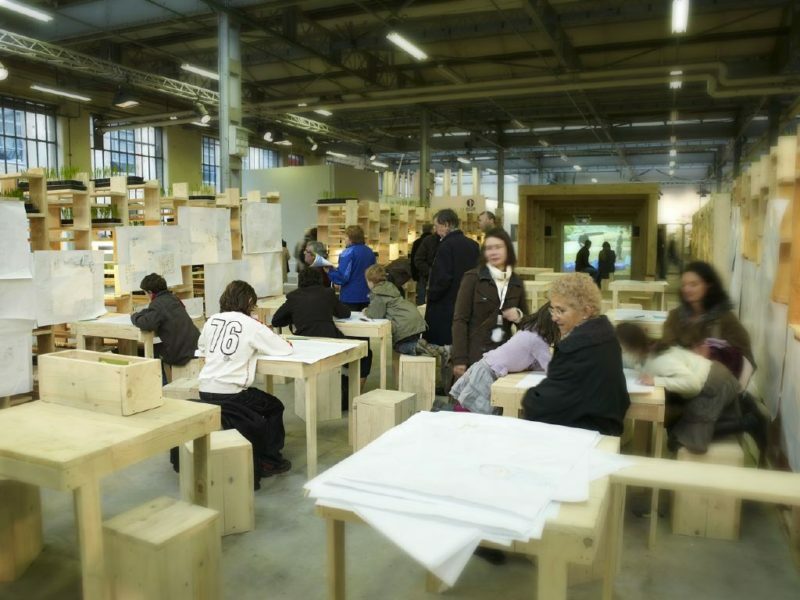 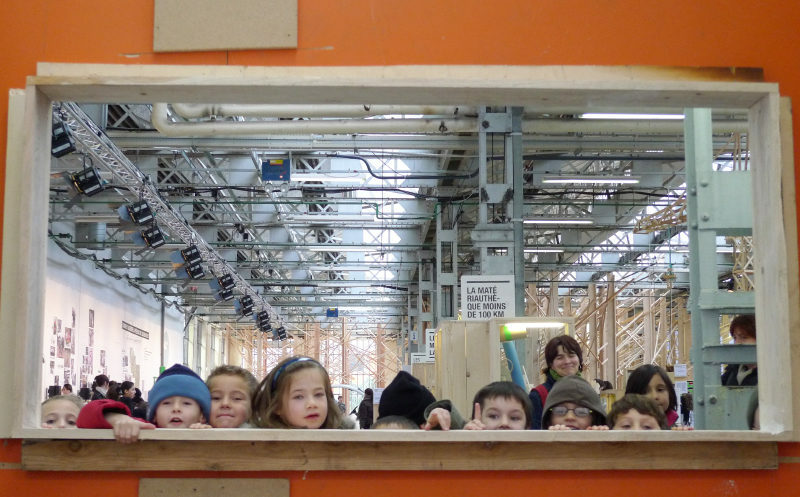 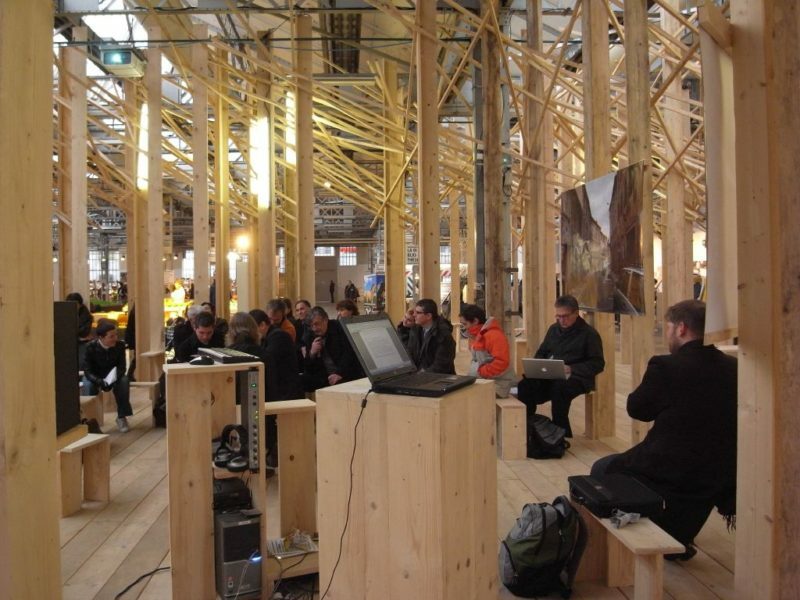 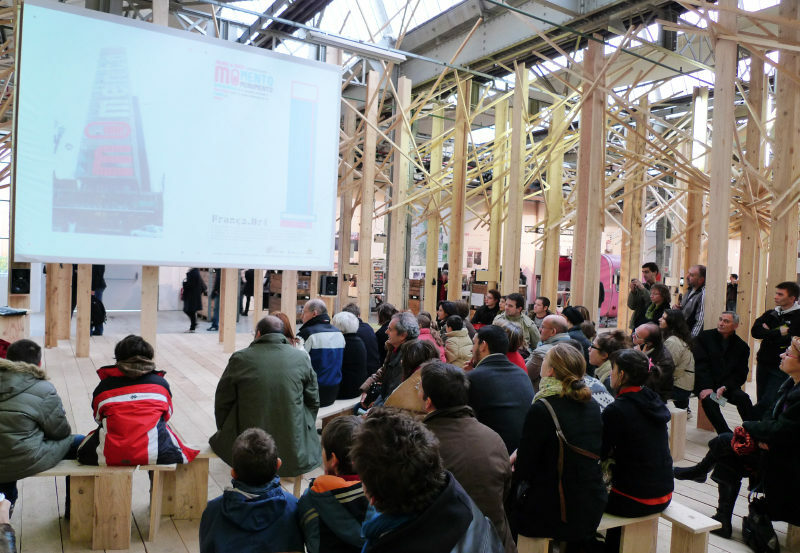 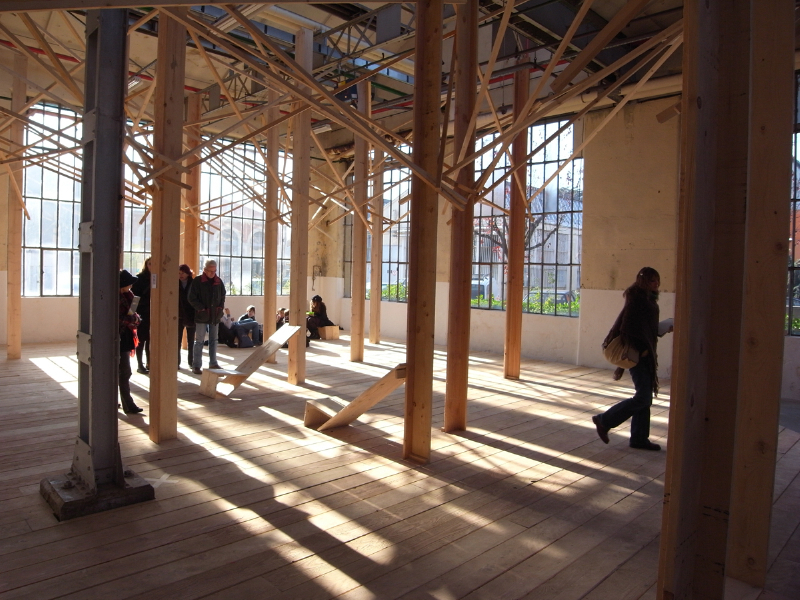 The Exyzt collective joint forces with the French designer Gaëlle Gabillet to design-build the City Eco Lab curated by John Thackara for the Biennale Internationale Design Saint Etienne 2008. 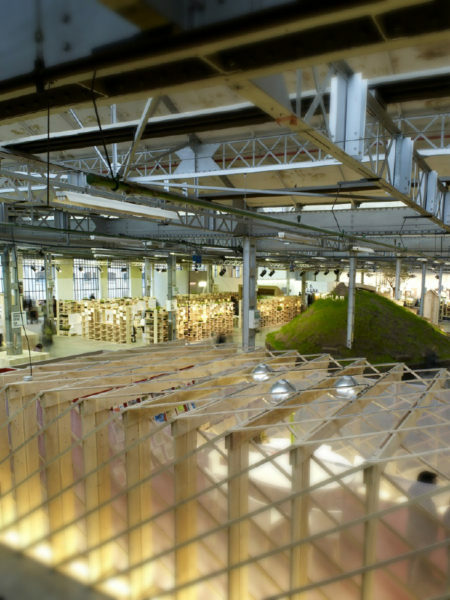 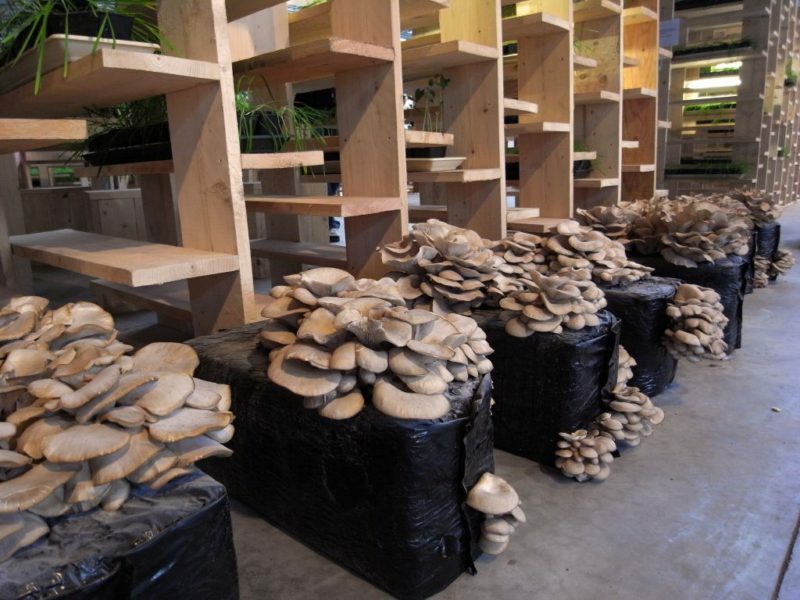 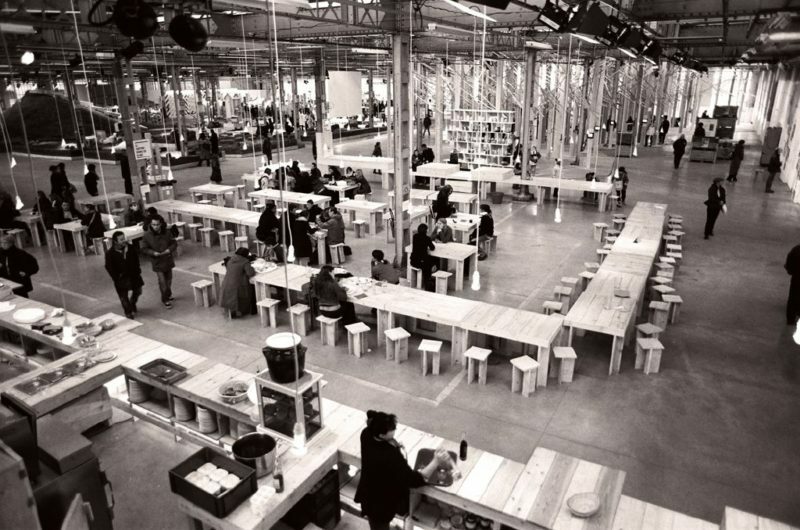 Located in an old abandoned former military factory building on 5000m2 surface, the City Eco Lab is thought as a laboratory that invites the public to participate by questioning the ideas and parameters of a sustainable city. 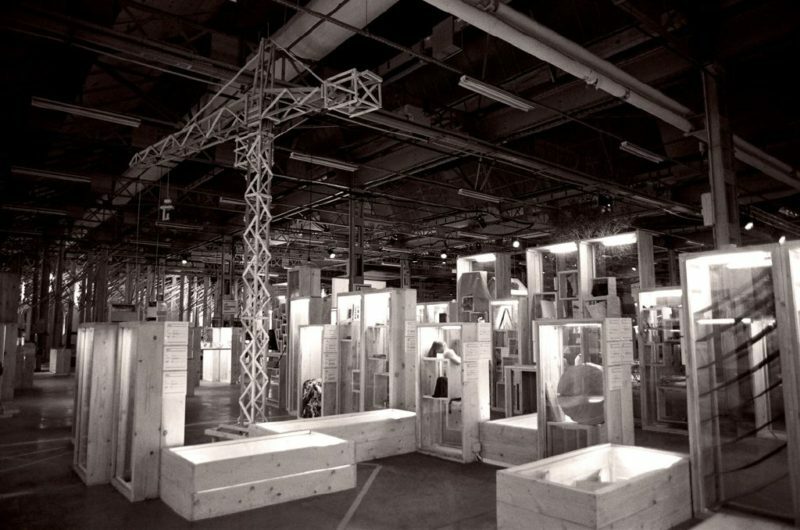 The scenography imitates landscape of Saint Etienne and some important architectural icons such as the newly build ‘City of Design’ a high-tech architecture building, here interpreted in wooden boards. 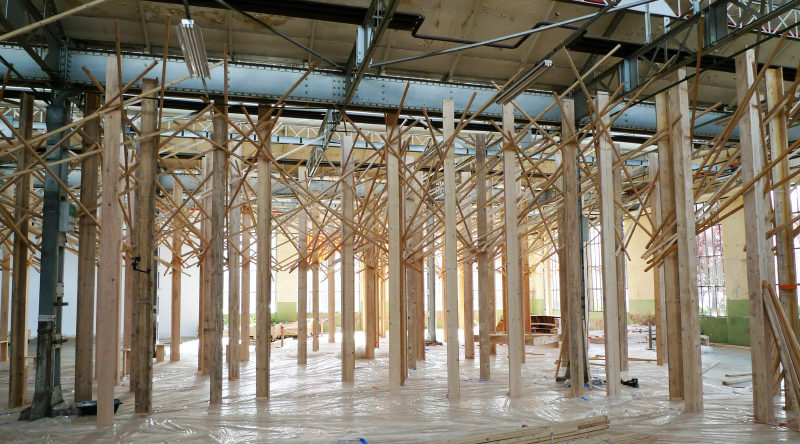 The scenography is entire self-built out of local material: wooden boards cut in the forests around the city. 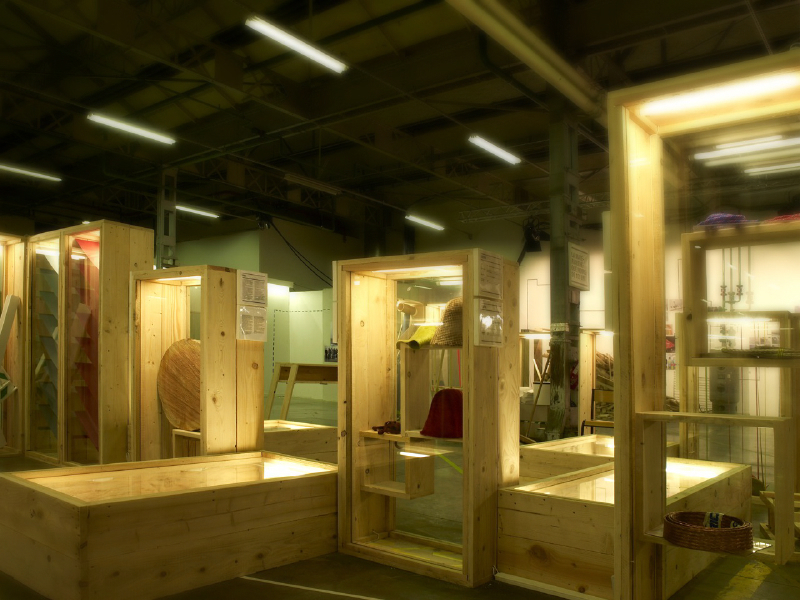 As far as possible assembled without cutting and connected only with screws allowing it to be easily re-used.